paleorXiv is open for submissions! This is a list of pre-print, post-print, and VOR self-archiving policies for journals that publish peer reviewed Paleontology research. A full version of the database is maintained here. It is free for anyone to edit, and will automatically update the table below with changes. Please note that many journals do not have explicit self-archiving policies. Where this is the case, we are currently working with those journals to develop them. Image credit: Ryan Regier, CC BY. Book image by Benny Forsberg. Also included are data on whether or not a journal has a 'Gold Open Access' option (including 'hybrid' journals), and the APC for this (VAT excluded), should there be one. Preprint: Version of a research paper prior to peer review. 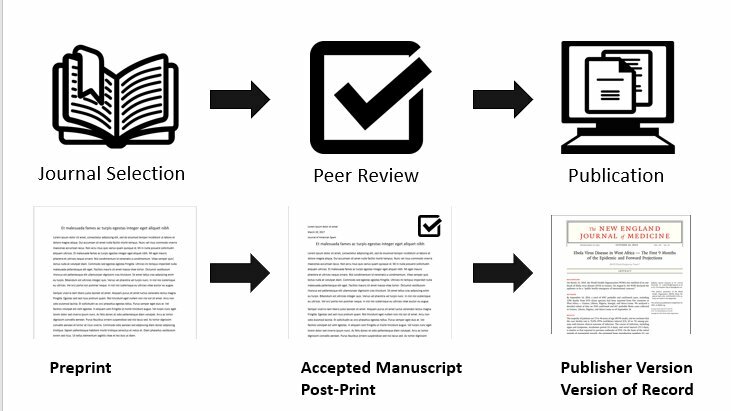 Postprint: Version of a research paper subsequent to peer review, but before any type-setting or copy-editing by the publisher. VOR: Version of Record, the final, published record of a research paper. Gold OA: Is the final VOR Open Access at the point of publication. APC: Article-Processing Charge - the charge levied by some publishers to publish a paper as Open Access. Impact Factor: The yearly average number of citations to recent articles published in that journal (note: this metric is a poor indicator of the quality of individual papers). The greatest effort has been exercised to maintain the accuracy of the information here. However, there might be errors as journal policies are updated through time. If there are data missing or incorrect in the table below, please feel free to edit them yourself. You can also alert us and we will update accordingly. Source code can found at paleorXiv/paleorXiv.github.io. Based on Bootstrap. Theme is Yeti from Bootswatch. Icons from Font Awesome.